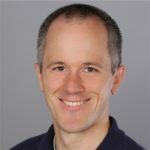 There are many great investments on the ASP.NET Core 2.1 roadmap. These investments make ASP.NET Core applications easier to write, host, test, and make security and standards compliant. This blog post talks about areas of investments in manageability and monitoring space.